Our static analysis engine allows reviewers to identify code duplication, complexity, and styling issues in your code, so that we can write quicker and more detailed reviews. Static Analysis provides our reviewers with custom comments and resources that they can link to in your review, allowing for a more in-depth review to be conducted. 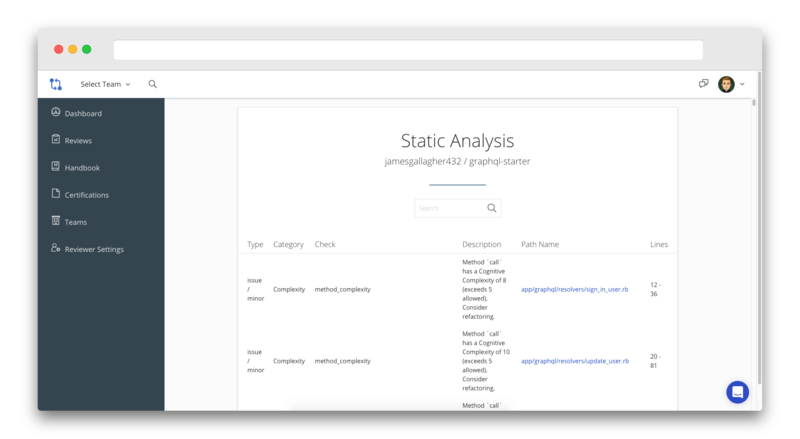 Our static analysis engine is integrated with over 30 static analysis linters and security tools. Our platform chooses the most optimal linters for your needs, so your reviewer can write more meaningful comments.